My neck was turning sore writing down computations, I avoid turning right or left, just up when thinking about what formula to use, and down to write. I had a hard time ironing out crumpled formulas in my head, and the pressure on time limit and the watcher reminding us the minutes left didn’t help. It was a two day examination, I prepared myself for six months plastering manila papers on the walls, living room, even on the bathroom and ceiling of my bed! On the 2nd day, right after I passed my papers, I went straight home and wept out my stress in bed. Three days later, at the age of 20, I’m a licensed civil engineer. Academically, that’s one of my so-called Moments of Success. The school-home no-social-life routine paid off. Some of my small moments of success were fun to remember, too. Winning on a poetry contest online and getting myself a truckful of wine, a medal for my Acapela piece (I used to sing), and another medal for creating my very own cardboard radio – resistors, capacitors, transistors, integrated circuits and colourful diodes included. My only regret was that I didn’t convert it from battery-operated to plug-in power. As a mom, success meant having an NSD (natural spontaneous delivery) despite having a heart problem and survived Emergency Caesarean Section without blood transfusion despite my beta-thalassemia. Now, success for me meant having the kids bathed, with proper meals and deadlines for design and construction met. Success is the accomplishment of an aim, the attainment of the purpose, the desires achieved. And most of the time, you reached it with sweat of perseverance and sweet tears of joy as your hardship pays off. It is a journey built upon change and personal development, and unlike stumbling upon a fortune, it doesn’t happen overnight. 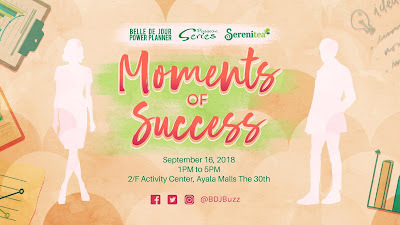 Last September 16, Belle de Jour Power Planner together with Serenitea held a BDJ Passion Series at the Activity Center in Ayala Mall the 30th, dissecting success. The event held an engaging discussions in the possibility of being someone to create successful moments that are both powerful and impactful, stories of growths and showing that the path to success is not a straight line but a crooked uphill with lots of failure along the way. Three very successful entrepreneurs from different fields shared their stories of success and inspired bellas to work hard in the pursuit of their dreams in life. Let’s dig ‘em up! Ms. Abbie shared her entrepreneurial story of from what if to actually doing it! She encouraged bellas to take action and give life to the ideas no matter how crazy people may think it was. Instead of giving up, surround yourself with people who loves you and who are crazy enough to support your dream, and in Ms. Abbie’s case, it’s her best friends. I also learned that if your ideas were copied, don’t stress out, it only means that your idea is indeed a great idea! 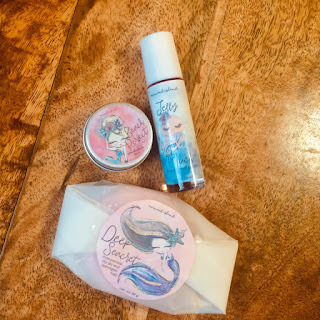 We all know Ellana Mineral Cosmetics is a homegrown brand. 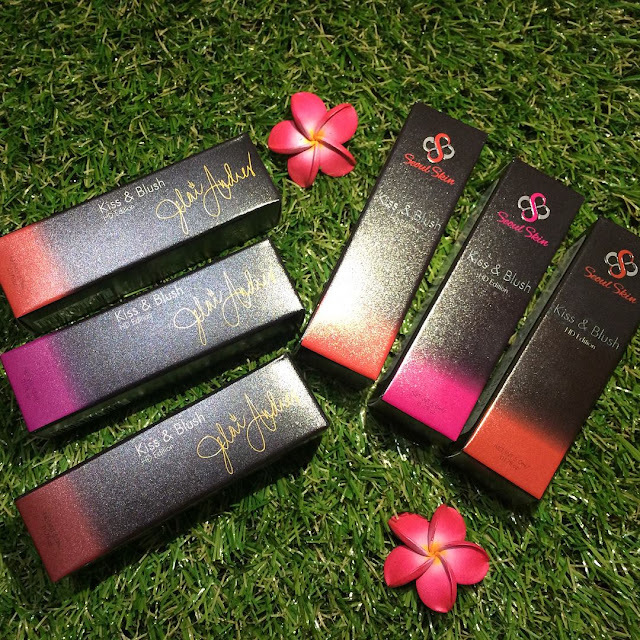 Ms. Theresa’s passion for makeup and anything vegan led her into creating her passion into a number 1 mineral makeup in the Philippines. Giving Filipinas mindful ways to express themselves in makeup. What really struck me about her talk was the fact that when turning your passion into business, you should also be passionate to your customers. It reminds me of the Belle de Jour founder, Ms. Dar. All these years, her passion was to empower women, that’s why aside from her trusty planners, these events – BDJ Rendezvous, BDJ Passion Series and the likes became possible. Philippines is the 3rd largest contributor of plastic waste in the ocean, and millions of animals die from eating plastic every year. What’s funny (okay, I’m not even sure if this is funny or scary, or both) is how the plastic that we throw to the ocean may end up in our gut. Plastic thrown in the ocean, eaten by fish, caught by fishermen, sold in the market, cooked at home. And we all know, eating toxins (like plastic) even in small amount may lead to cancer. This gruesome inference, encouraged Pocholo, founder of SIP to make a difference one straw at a time. He creatd an environmentally conscious enterprise that sells steel straws and bamboo utensils. Sip means sustainability and innovation for the planet. Sip may also means solutions and initiatives for the people. Now that I’m a mom of two, realizing the future can make me anxious. Will there be enough air for them to breath when I’m gone or is the technology be really advance that the future promises a boom business of selling tanks containing oxygen with variety of scents like fresh pine trees and calming lavenders? It may sound melodramatic, but remember that we are buying water in bottles – some are already flavored. And not to rub it in (Okay, maybe a little), the air quality index in congested parts of the metro is higher than the maximum safe level of total suspended particulates when measured in micrograms per normal cubic meter. These all boils down in our everyday decisions, we should refuse before we reduce, reuse, and recycle. And as an engineer building megastructure, I’ll incorporate as much as possible, an environmentally-friendly sustainable structures that features conservation of our resources while reducing our carbon imprint like installation of solar panels or wind turbine for power source, water recycling (using water from the lavatory to flush the loo) and being mindful in making it green as much as possible. There’s a lot to discuss about these matter, so I’ll be sharing it in another post. For now, I’ll start refusing plastic straws, plastic coffee stirrer and opt for reusable items while refusing things I really do not need aka Minimalism which was discussed on the 2nd BDJ Rendezvous 2018 here (http://www.gerifiedph.com/2018/08/2nd-bdj-rendezvous-2018-declutter-your.html). See, success is like beauty. It’s in the eyes of the beholder. Small wins for some may mean the world to others, but that’s what makes it interesting. It’s conventional yet sophisticatedly nostalgic. What’s even sweeter? It’s if we became successful (for ourselves) and impactful (for others – people and environment). It’s like producing ripples that could eventually become a wave big enough to create a mark.